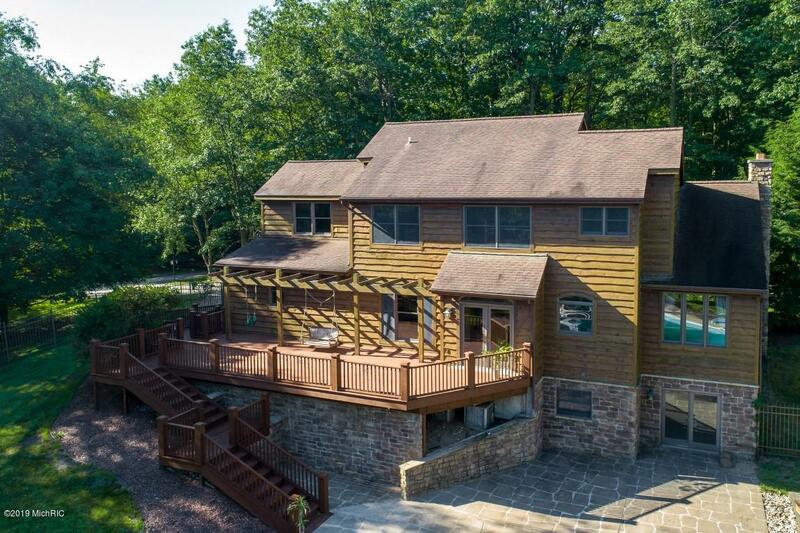 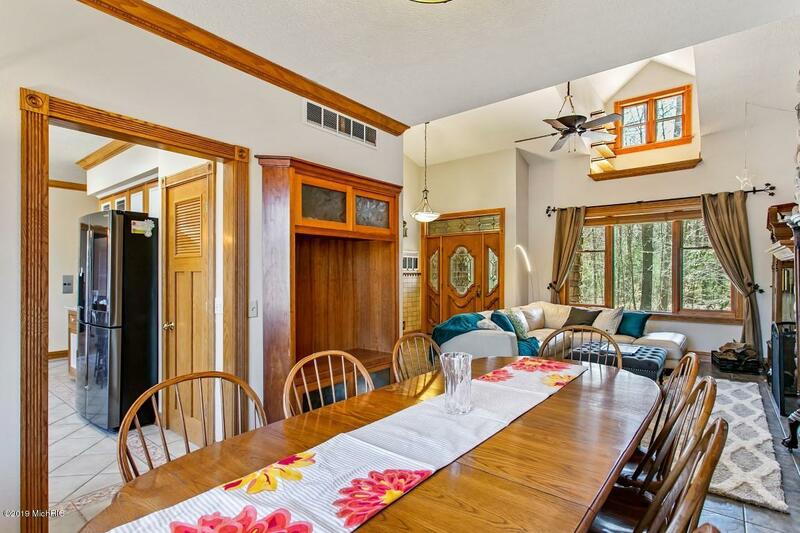 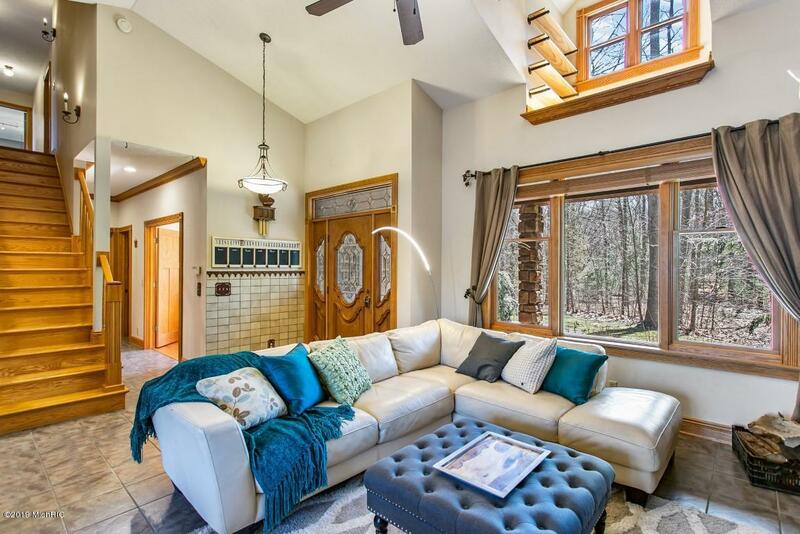 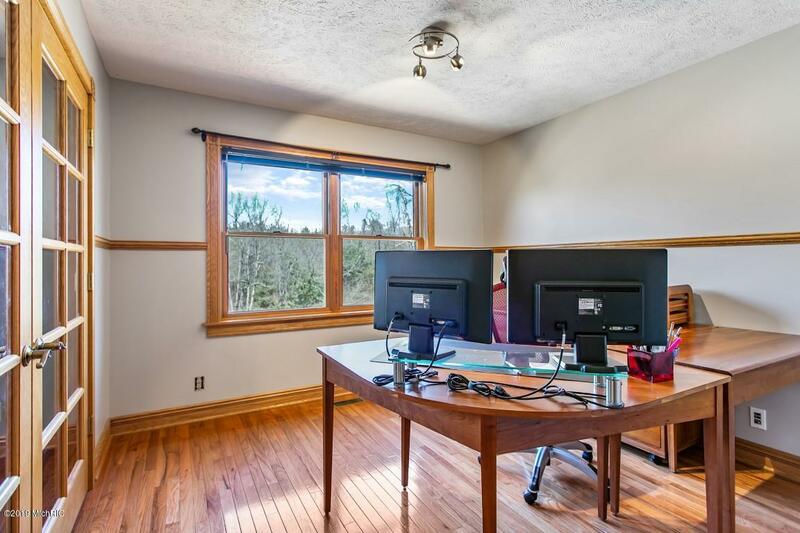 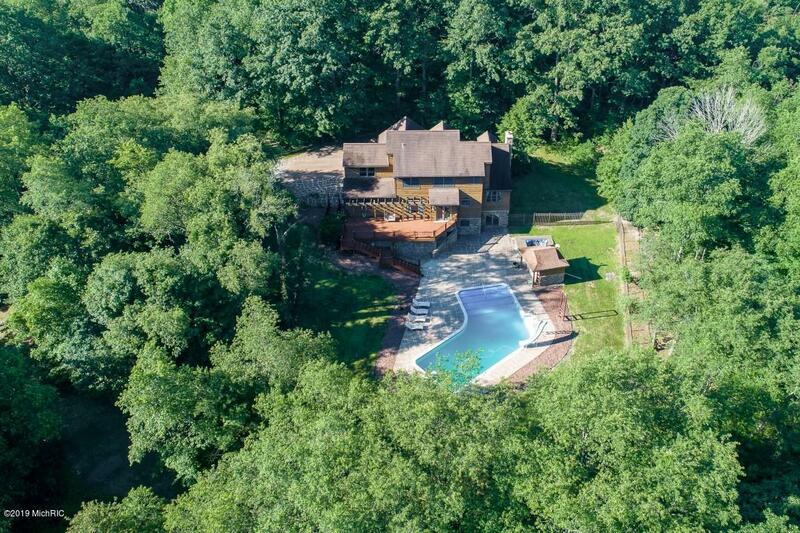 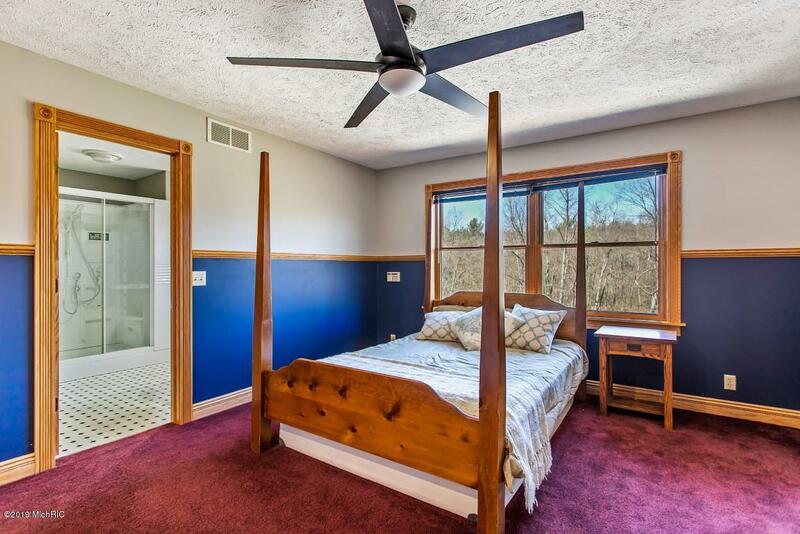 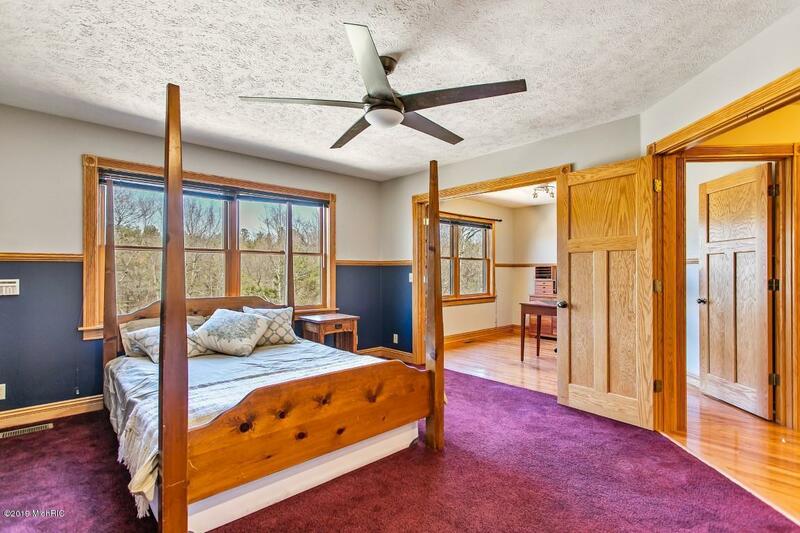 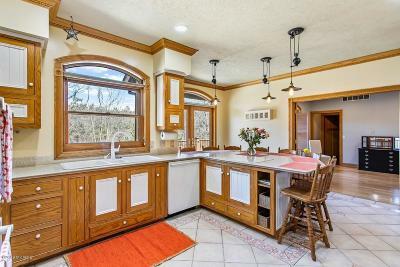 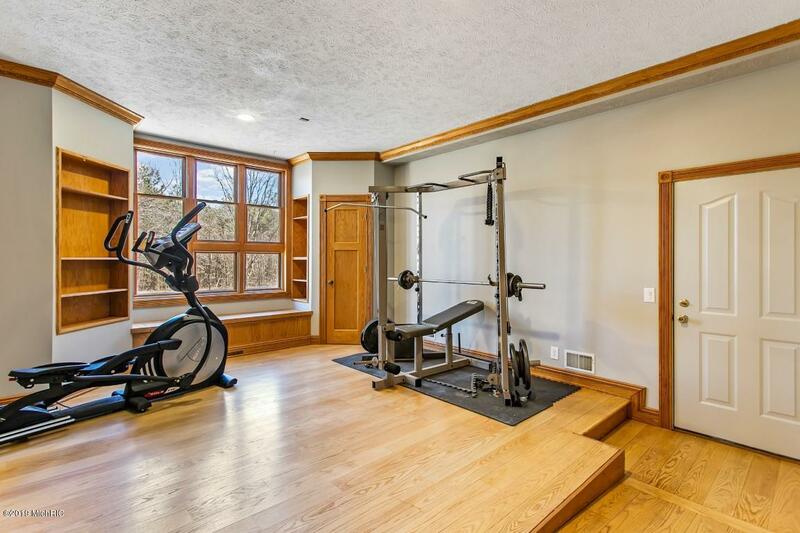 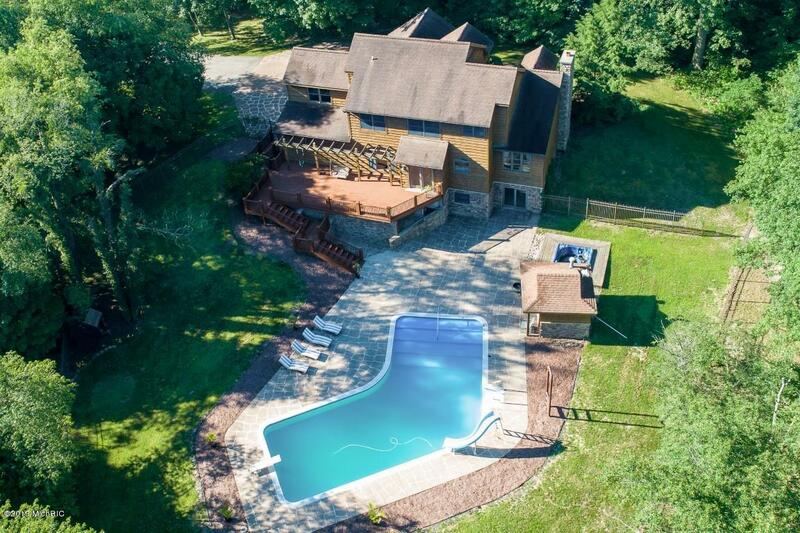 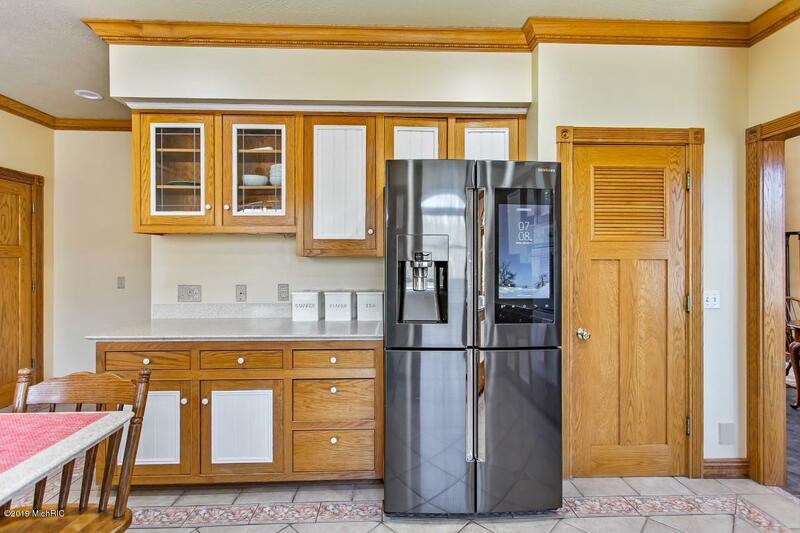 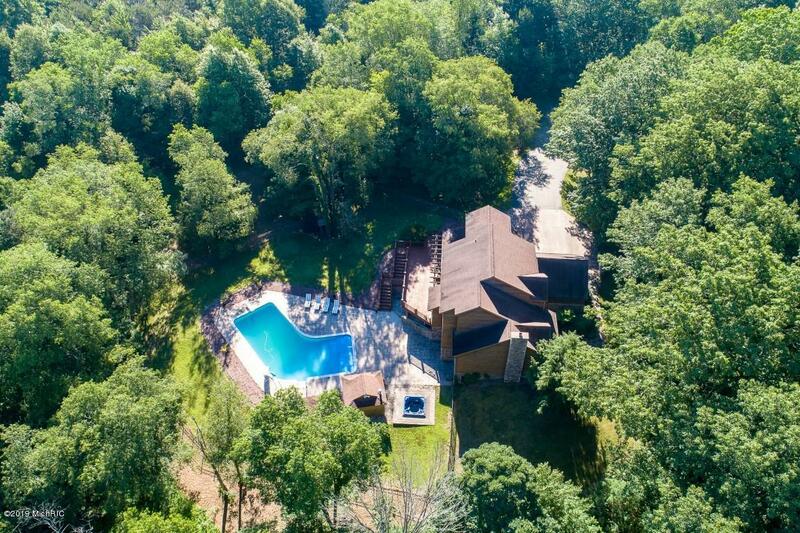 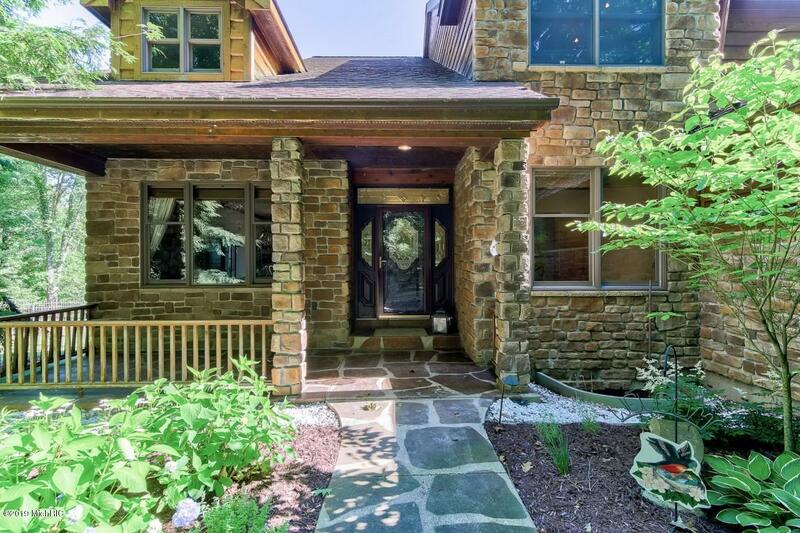 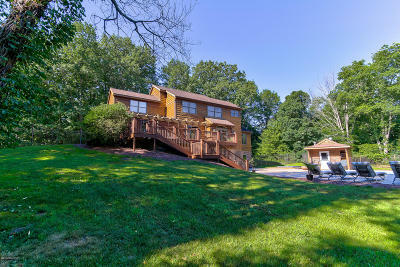 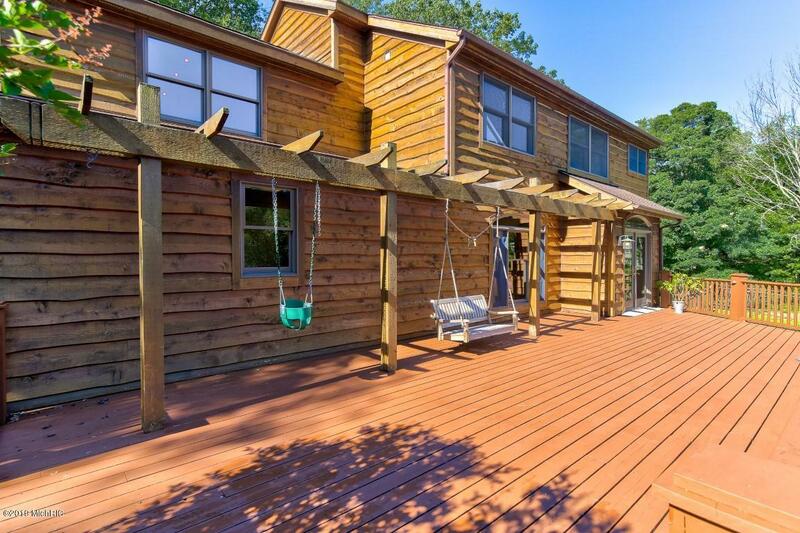 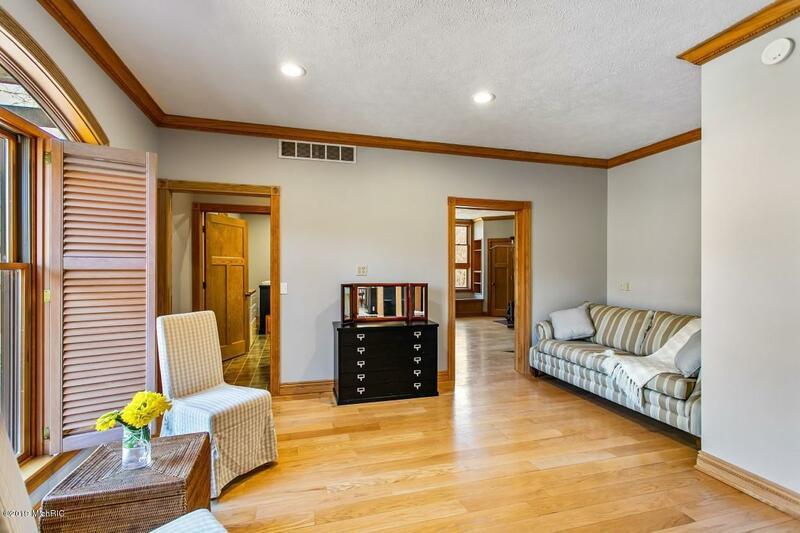 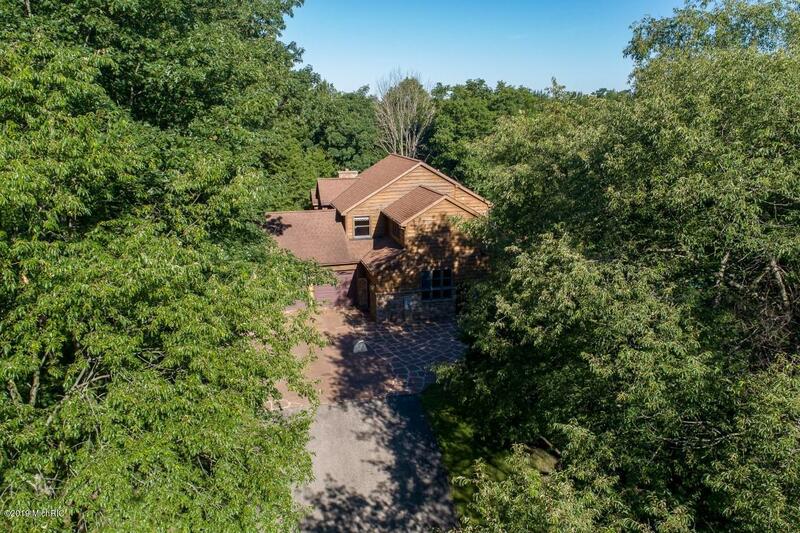 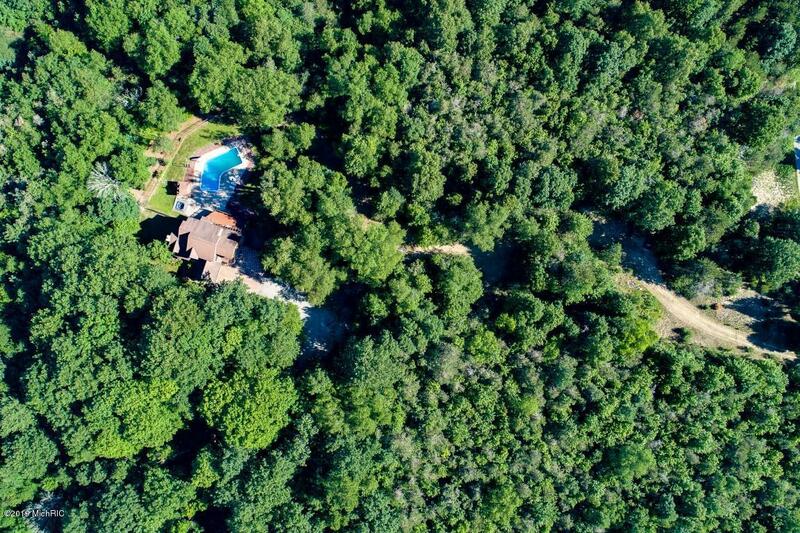 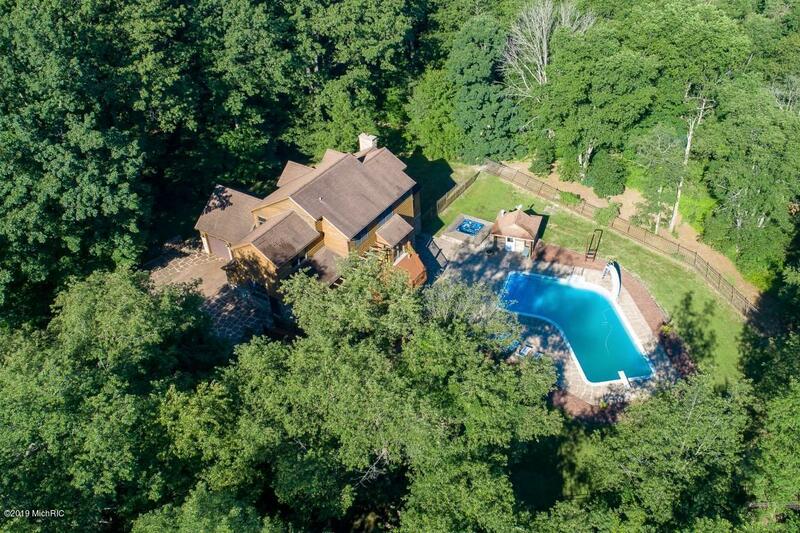 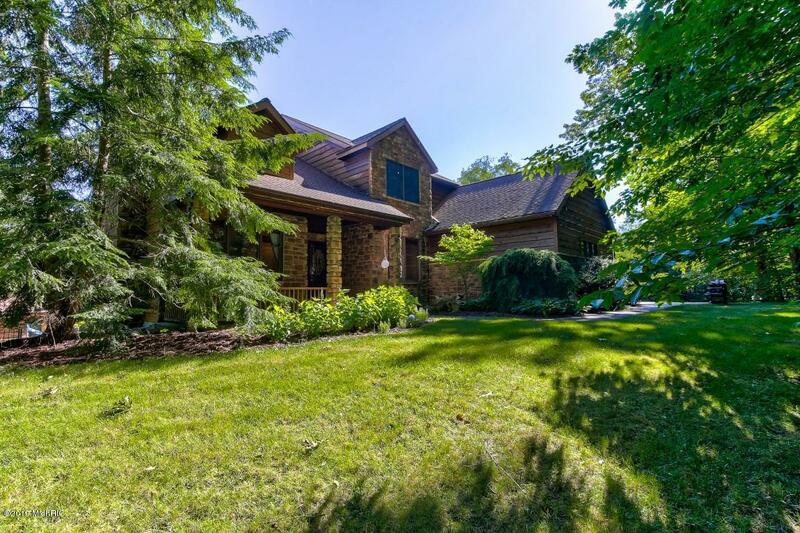 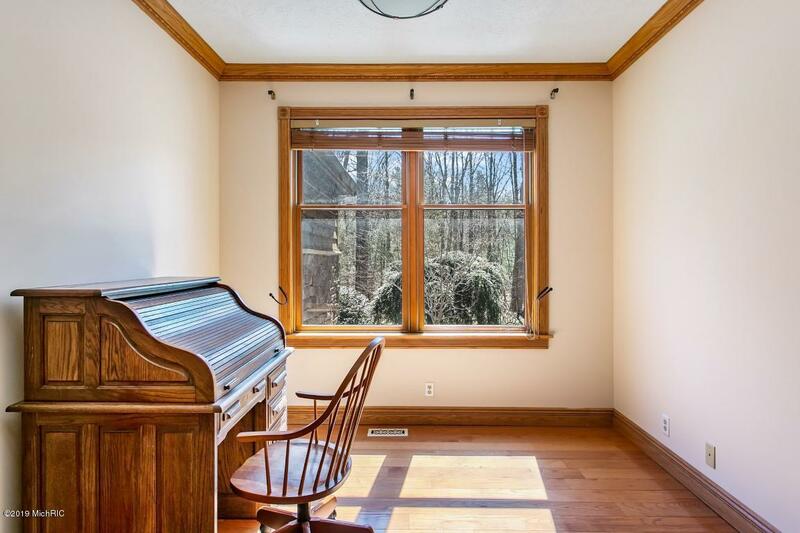 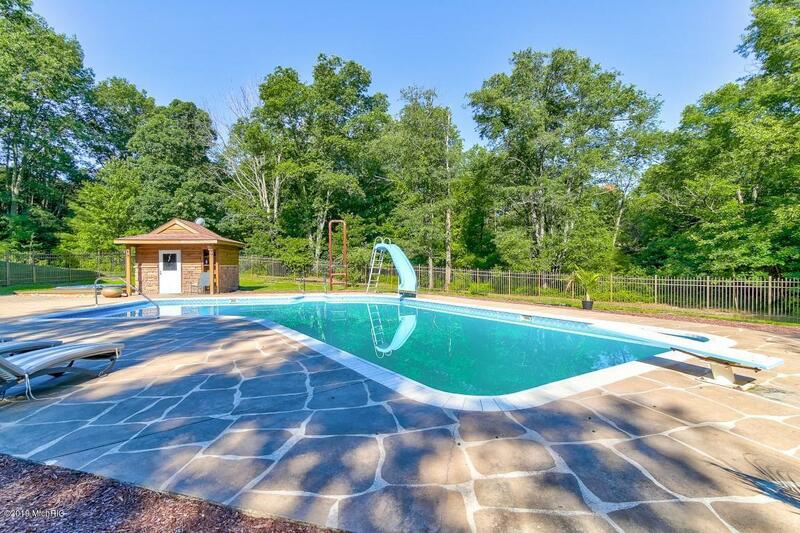 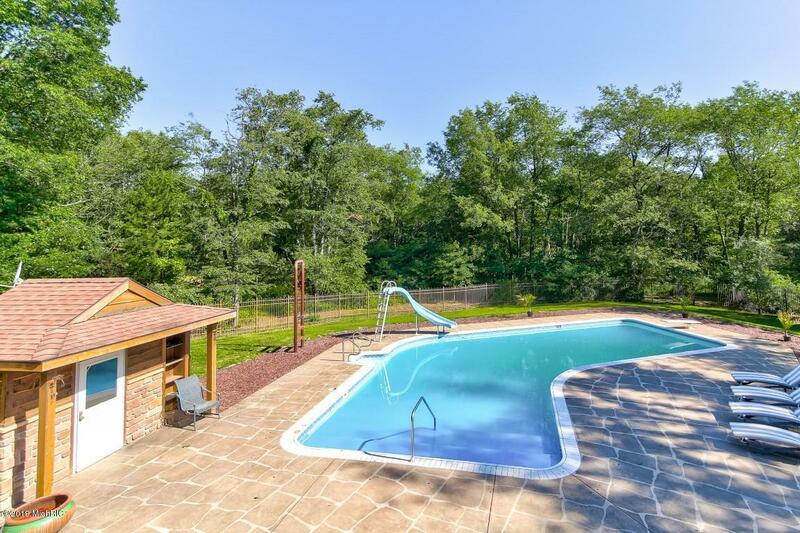 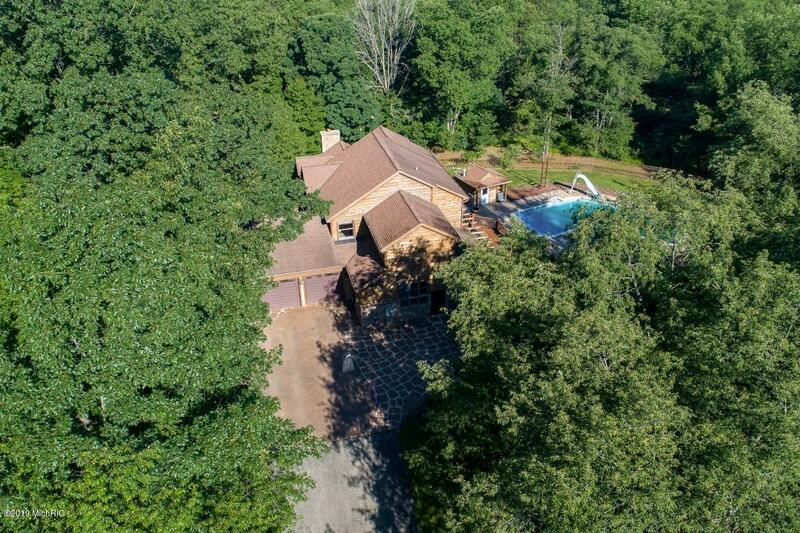 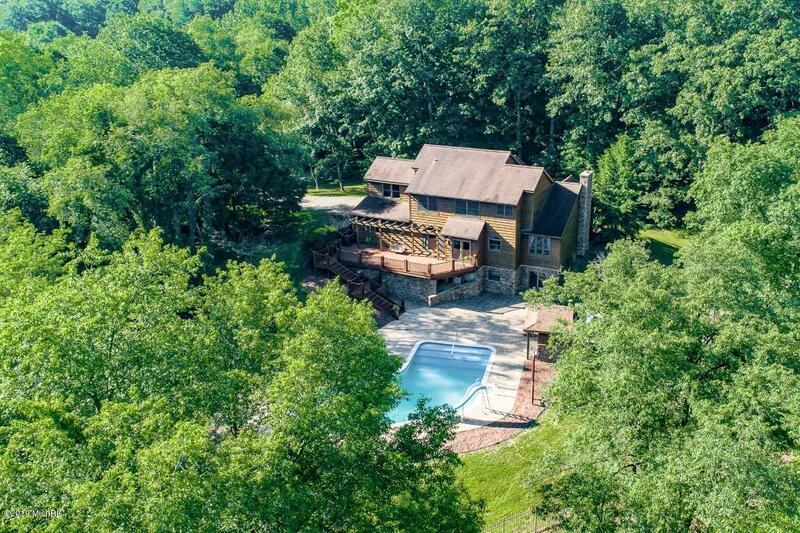 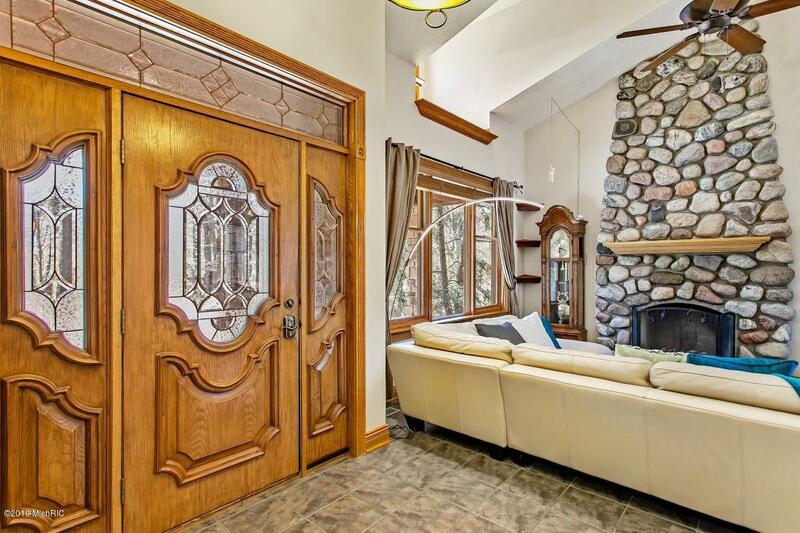 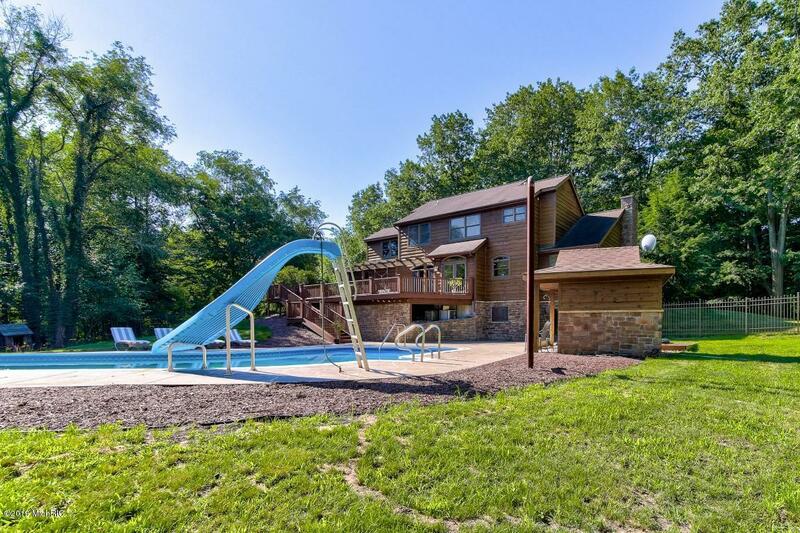 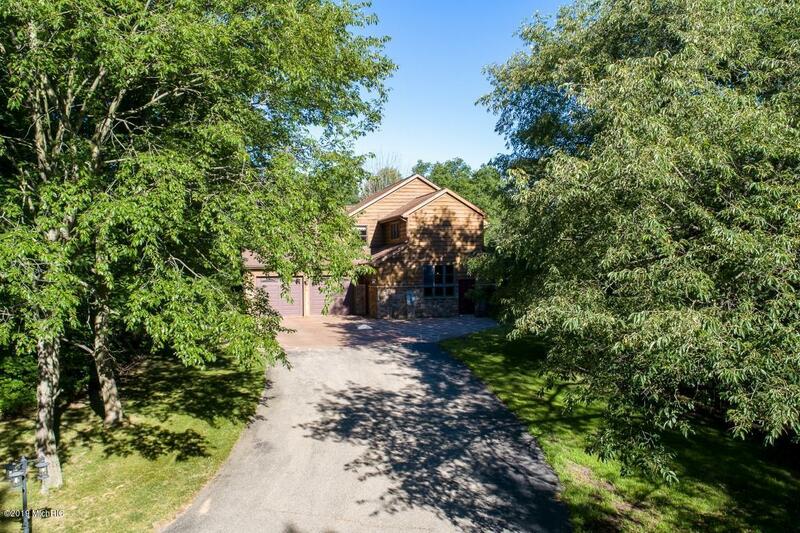 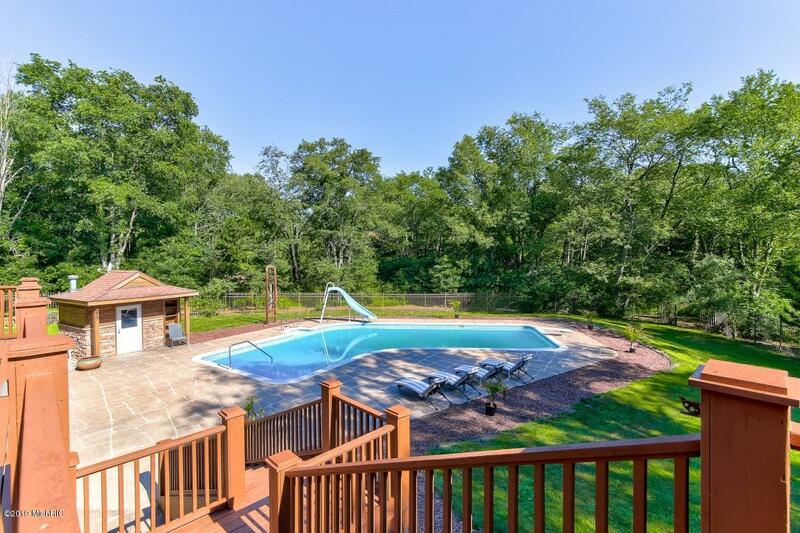 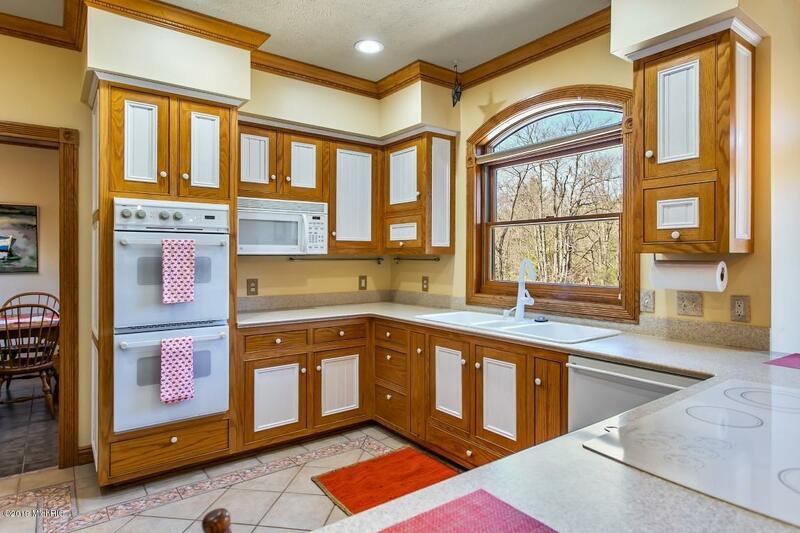 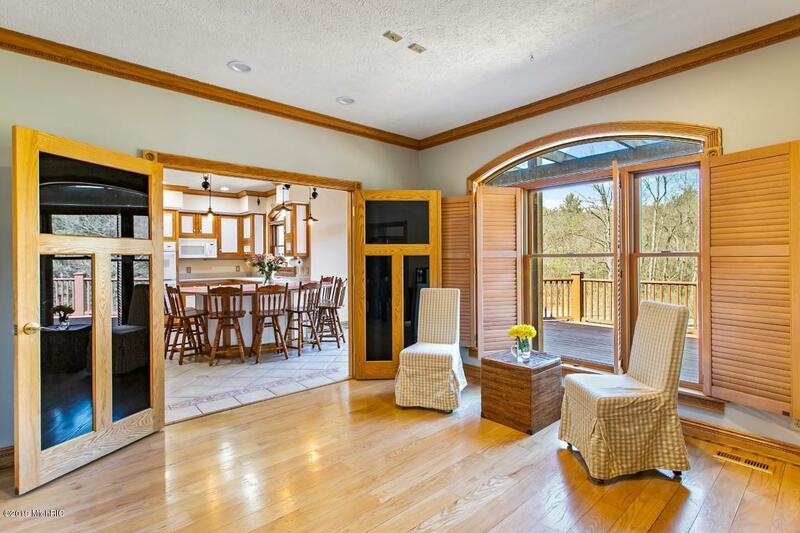 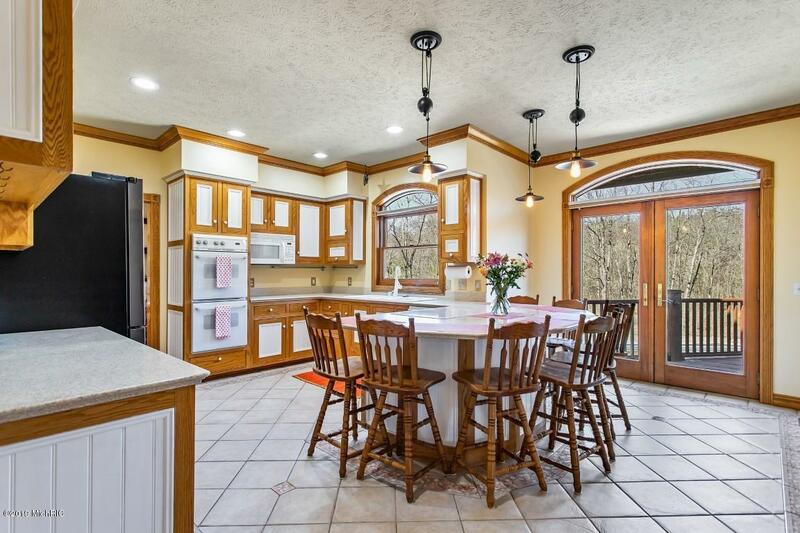 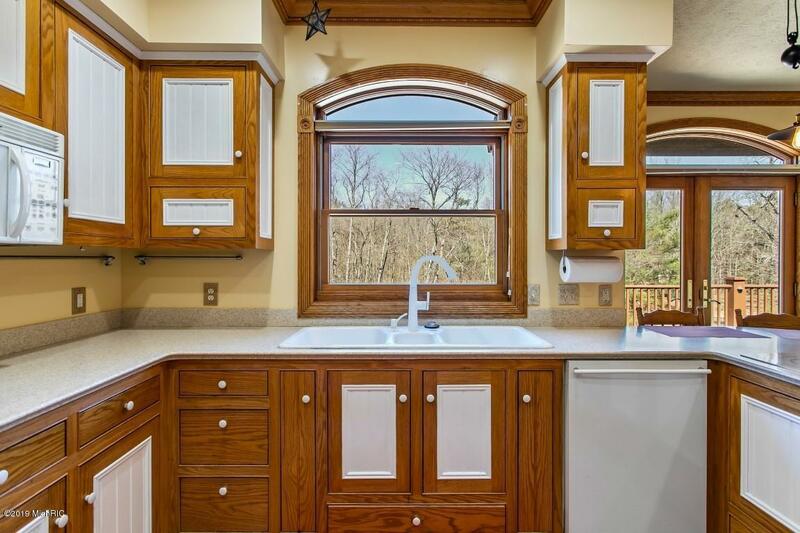 Custom built home on 6.95 wooded acres. 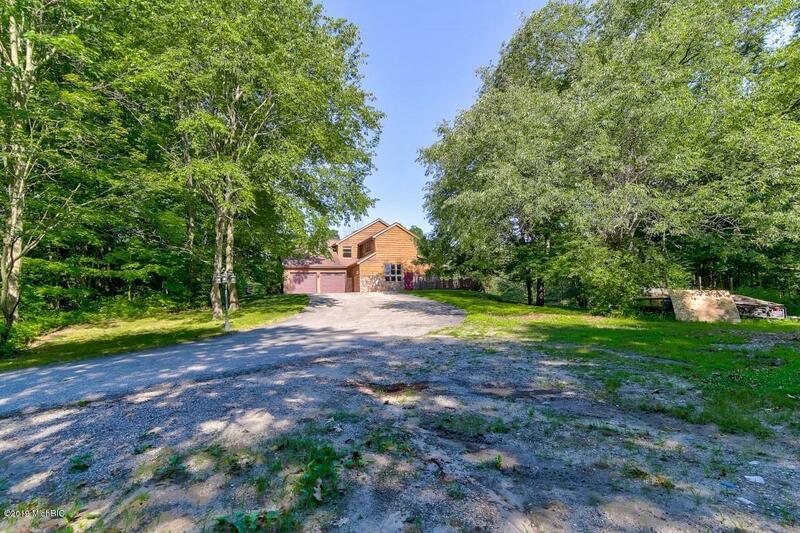 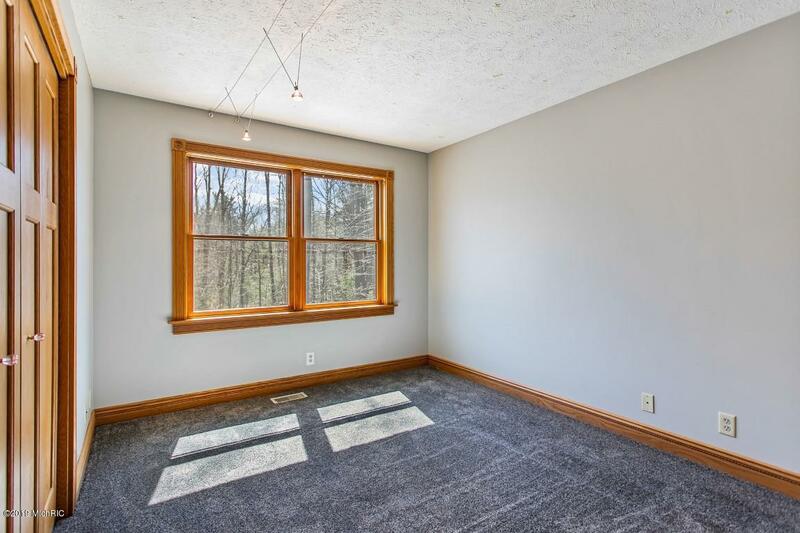 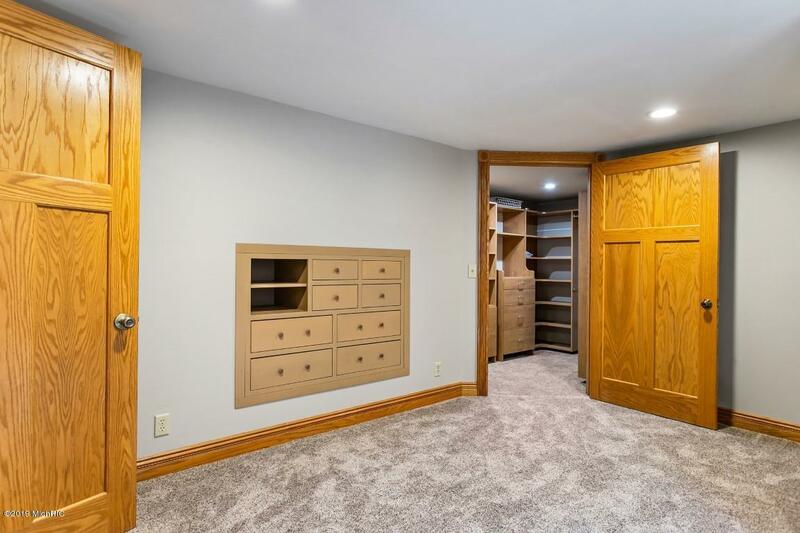 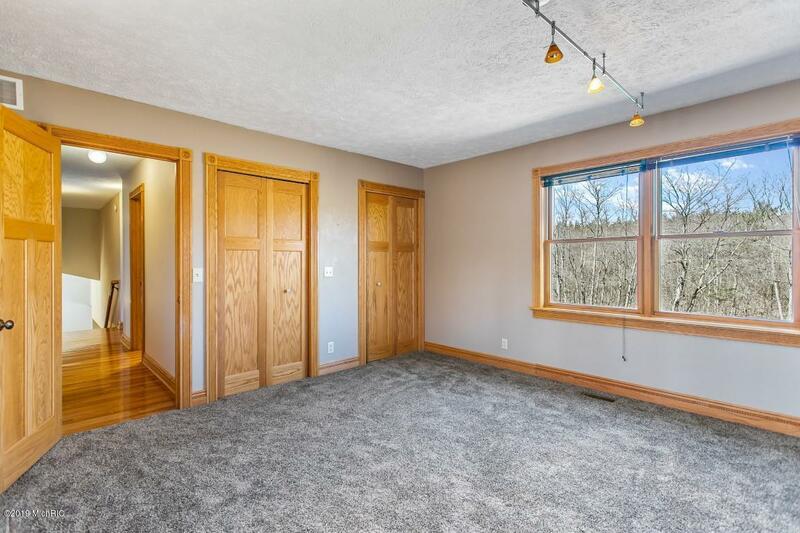 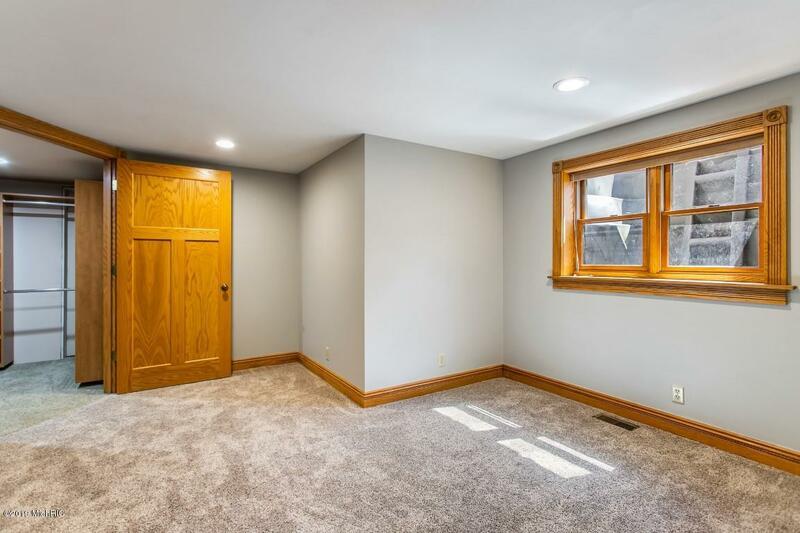 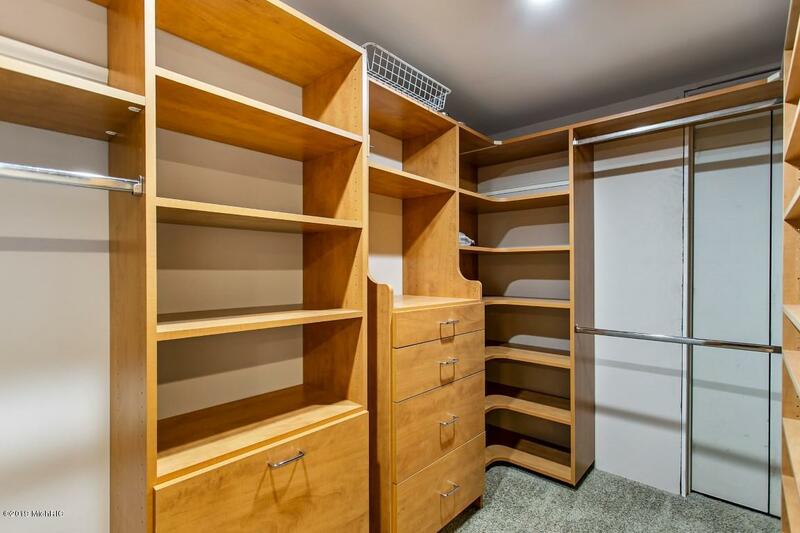 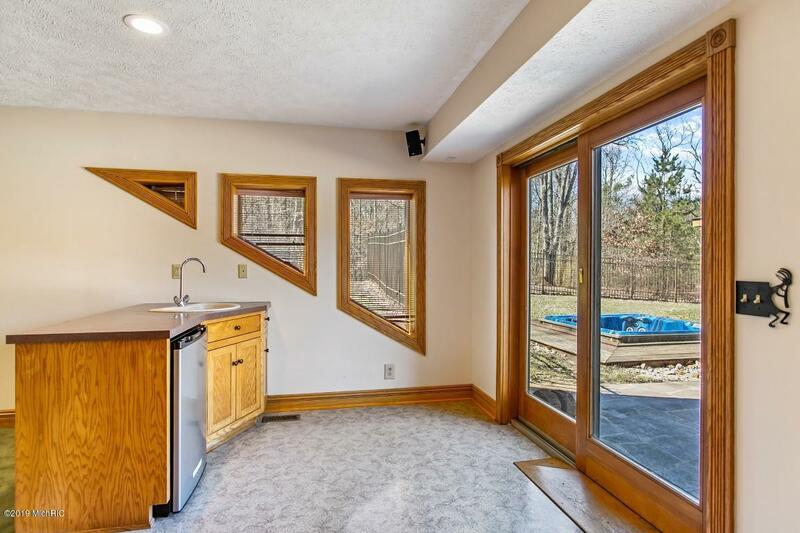 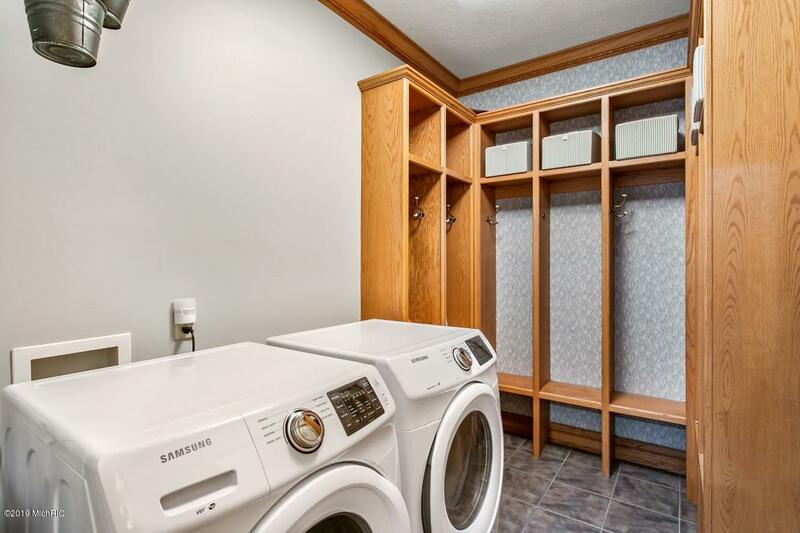 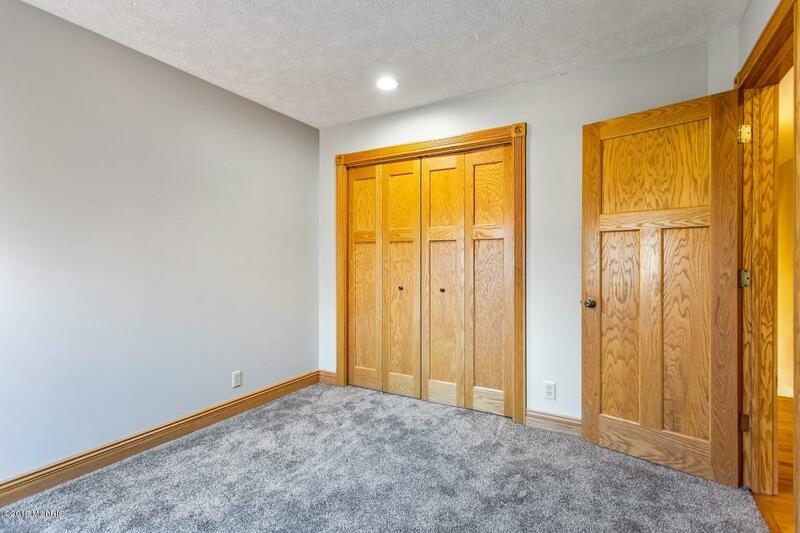 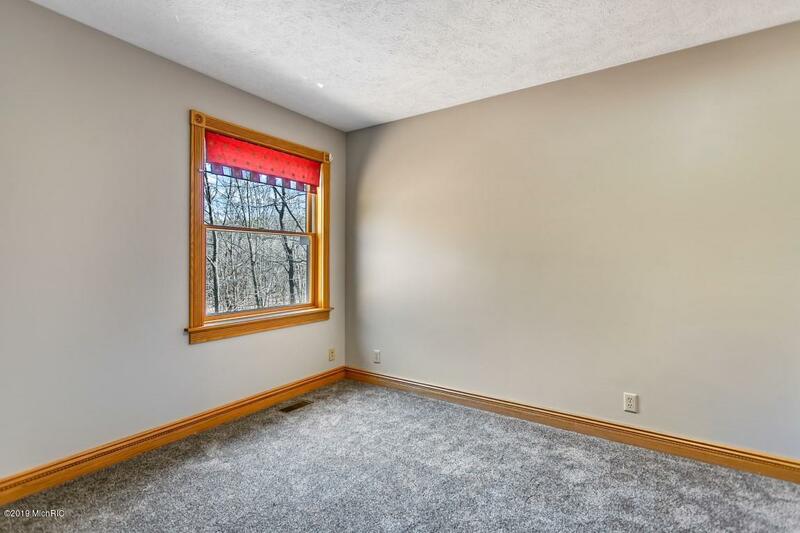 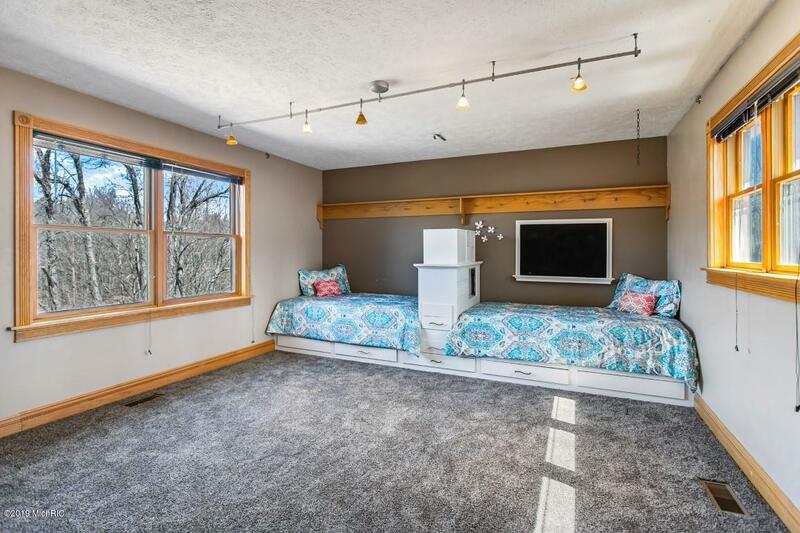 Home features 2x6 construction with open concept floor plan, spacious kitchen with Corian counter & snack bar, large windows throughout to enjoy the natural private setting & wildlife in your back yard. 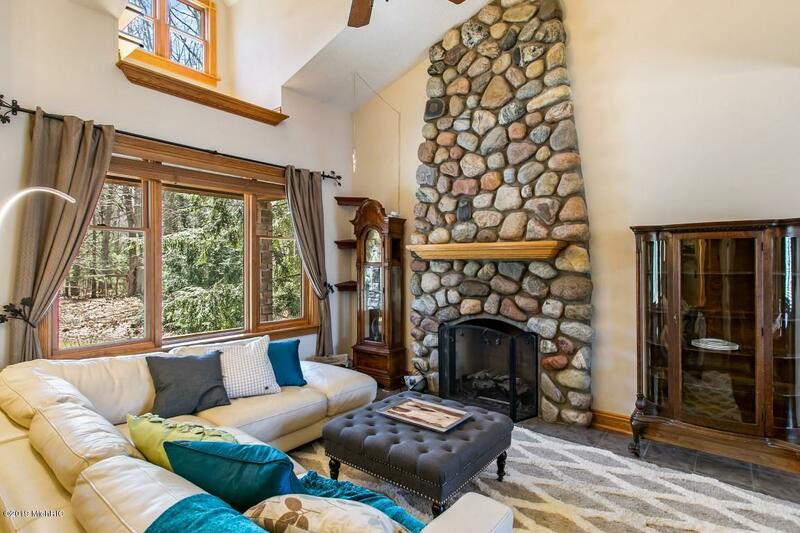 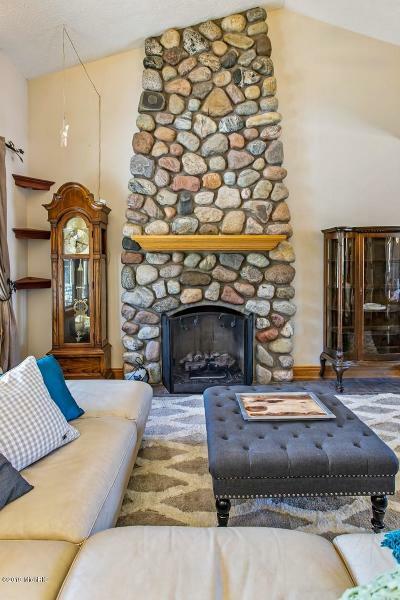 Floor to ceiling stone fireplace accents the living room with wood flooring throughout main level. 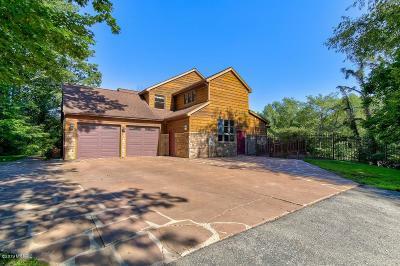 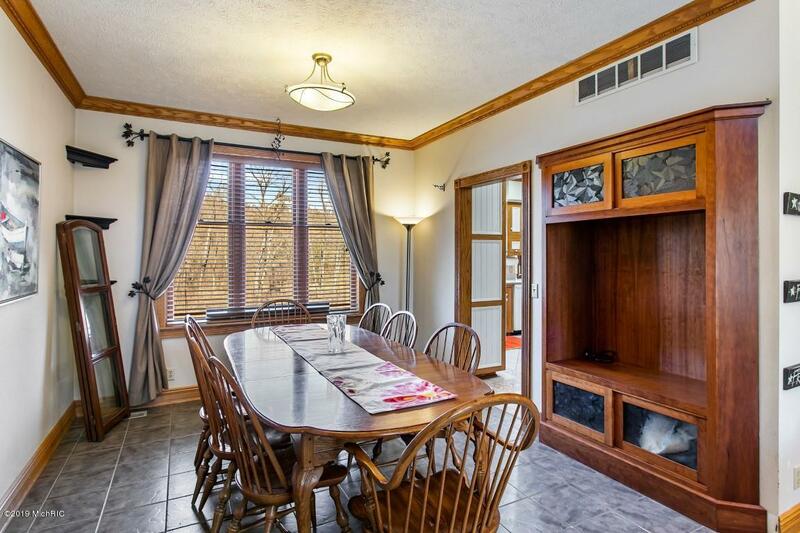 5 bedrooms & 4 full baths, & 1 half bath. 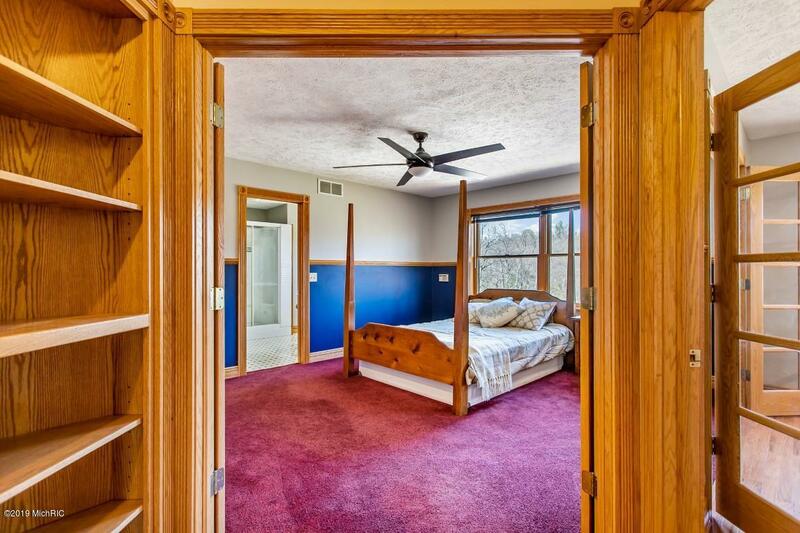 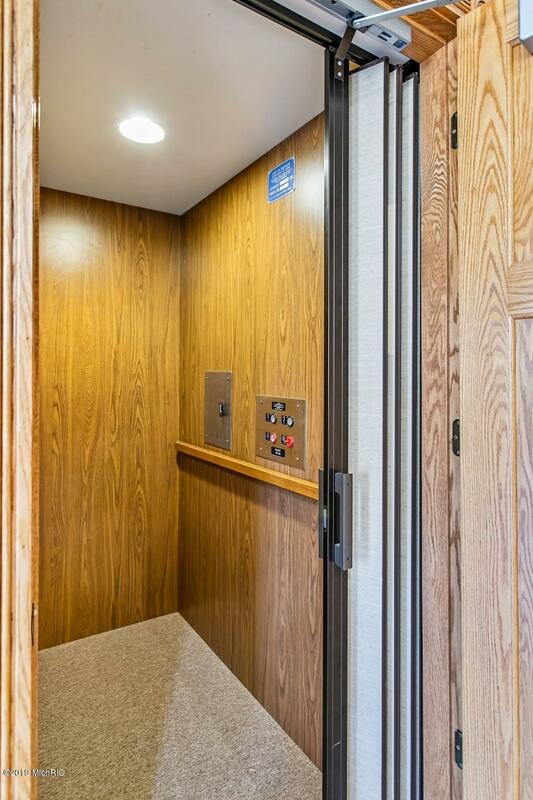 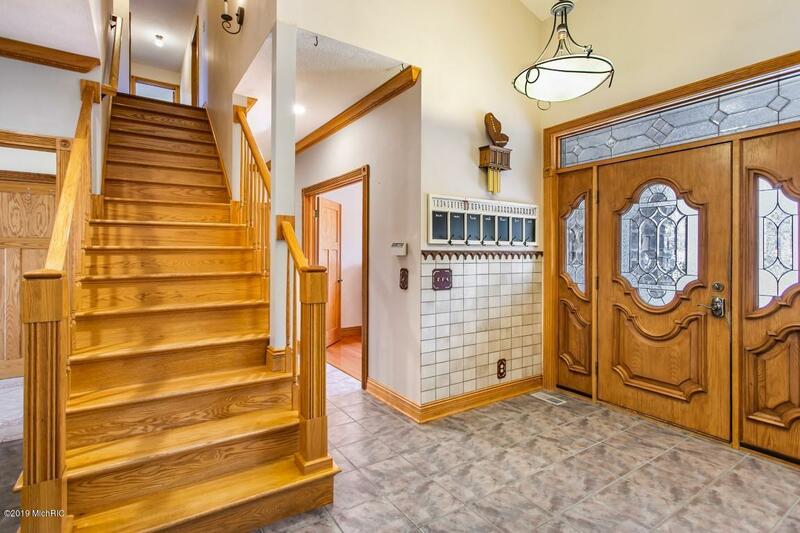 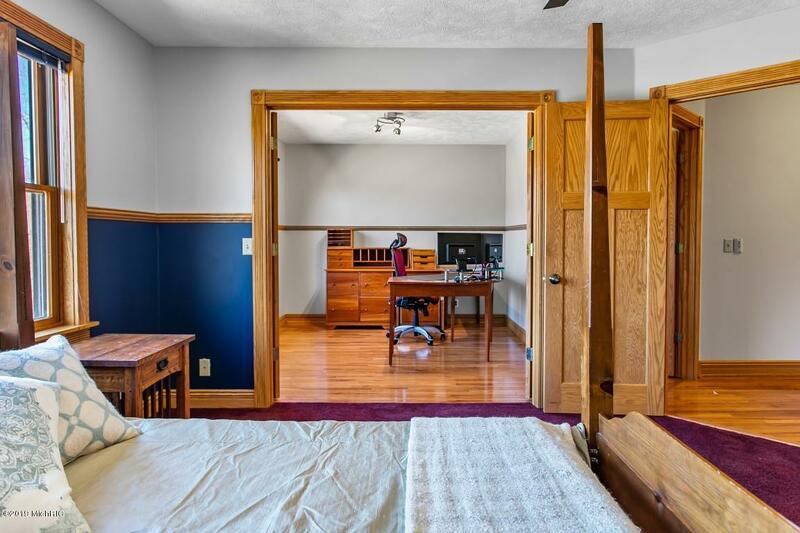 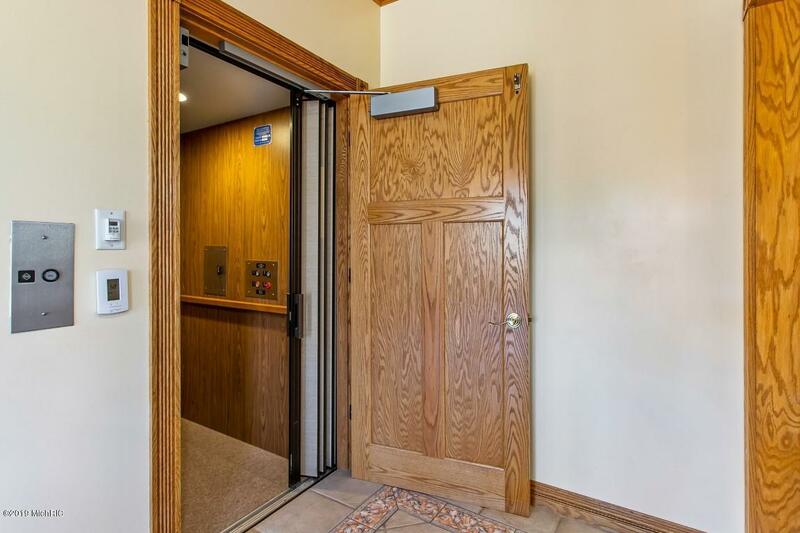 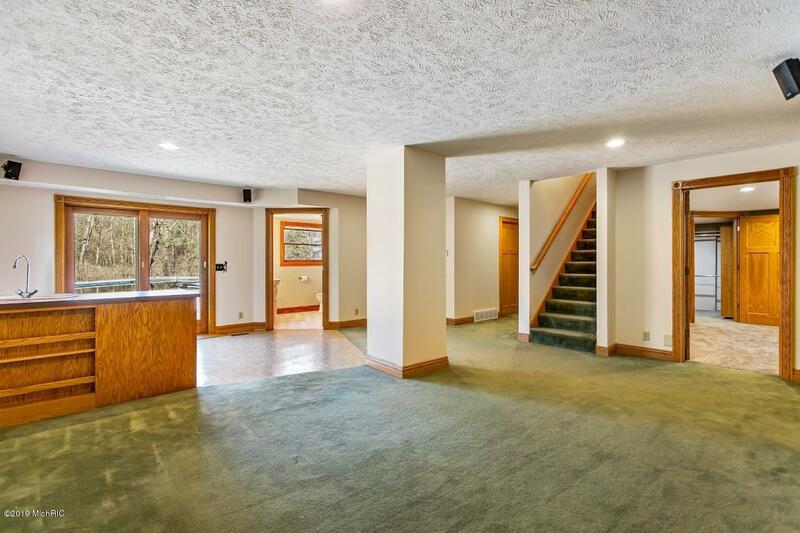 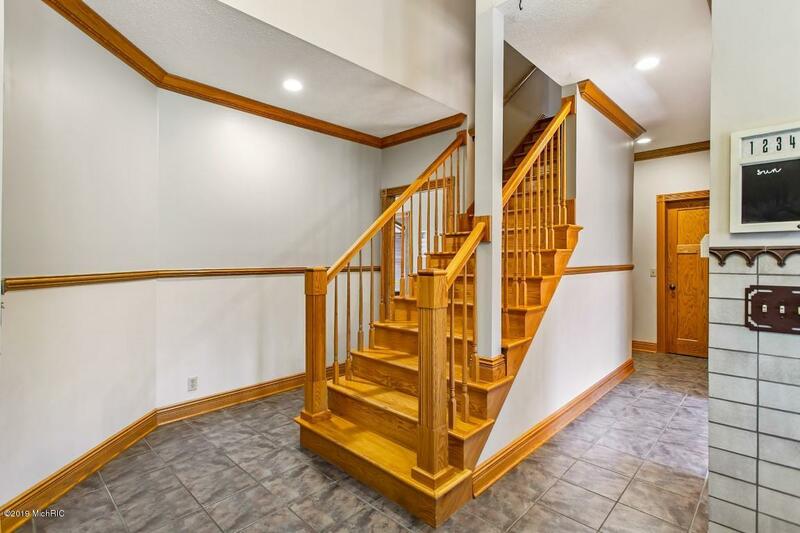 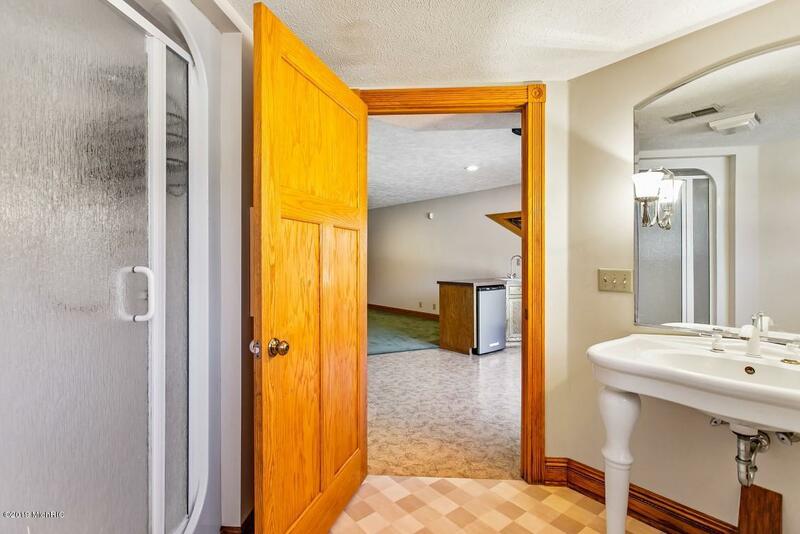 Elevator to lower level w/family room, bed & bath & walk out basement w/sliders to the patio, in ground pool & Hot Tub. 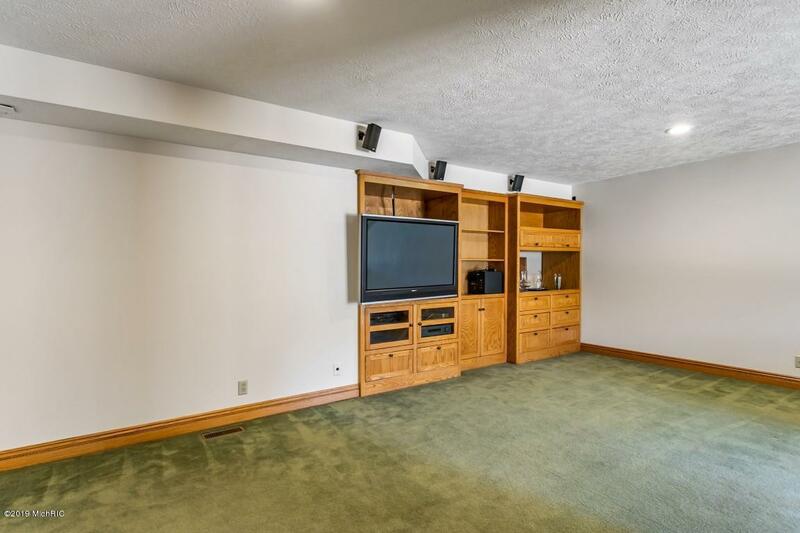 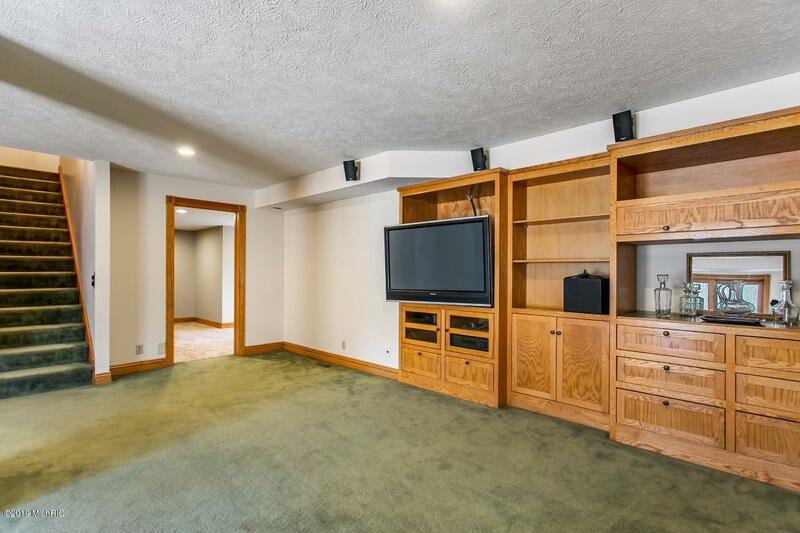 Great area for entertaining & cookouts. 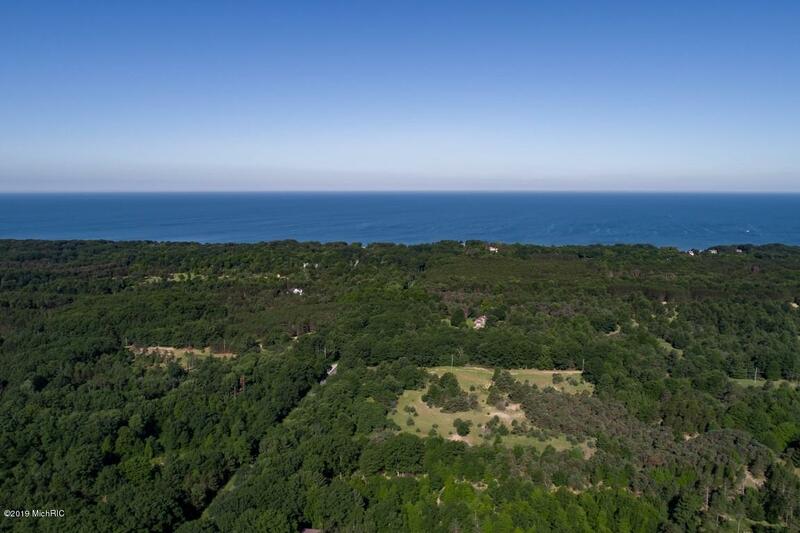 Lake MI & Kouw Park & boat launch at Pigeon Lake is less than one mile away. 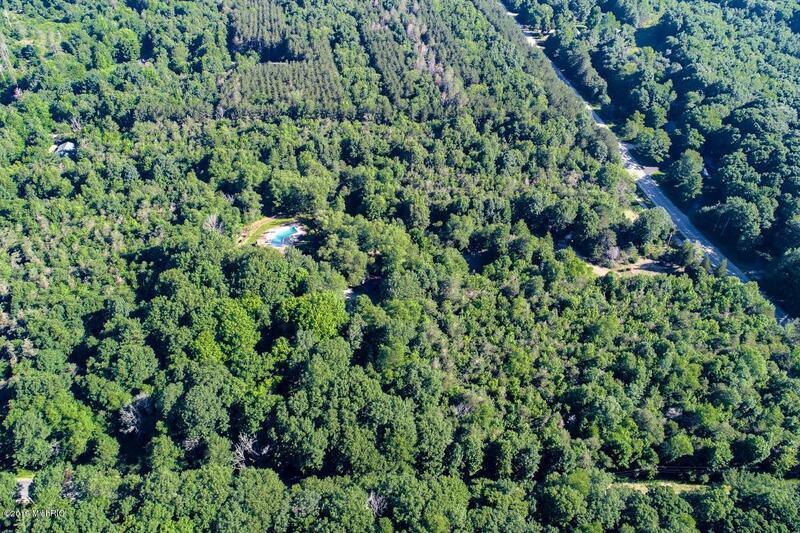 Additional 3 lots available or combine all for 16+acres. 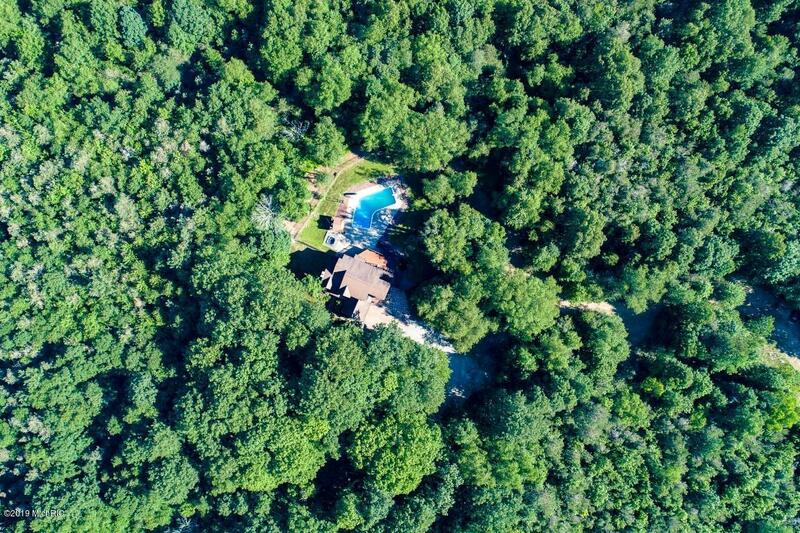 Make this incredible home your own private retreat. 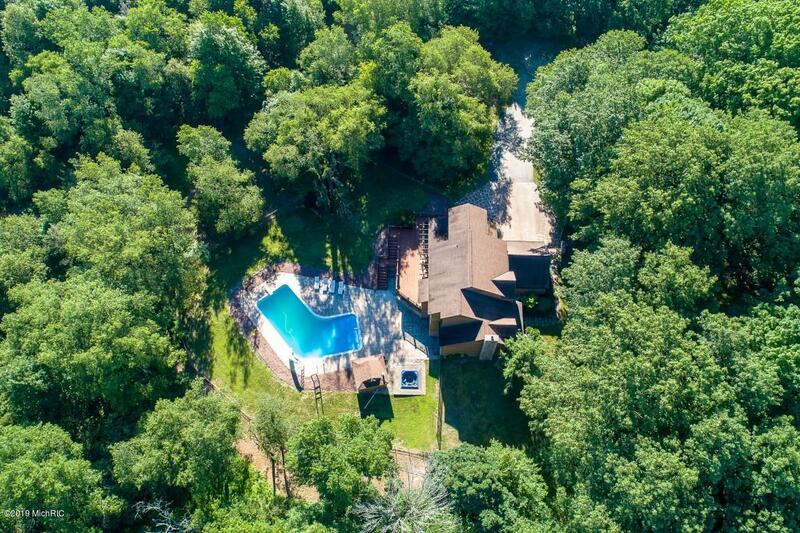 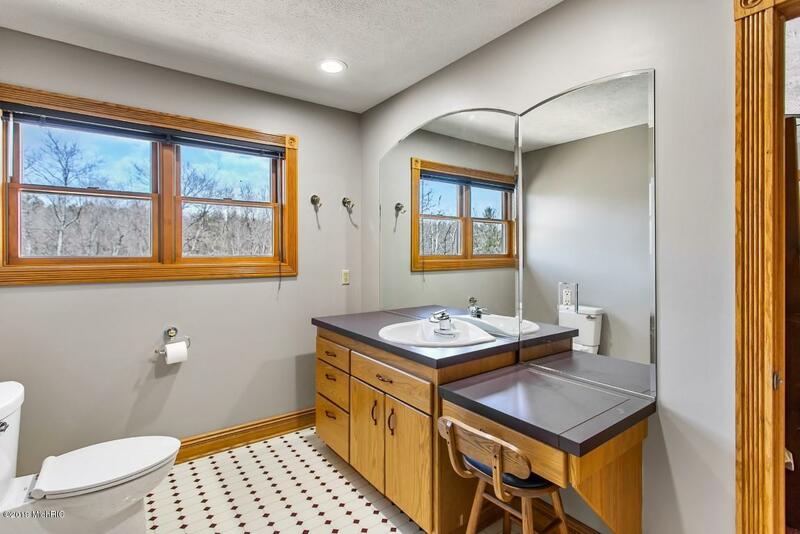 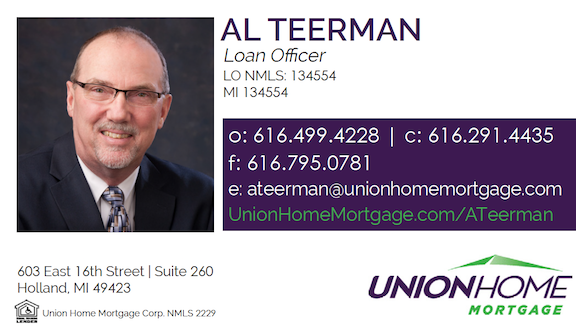 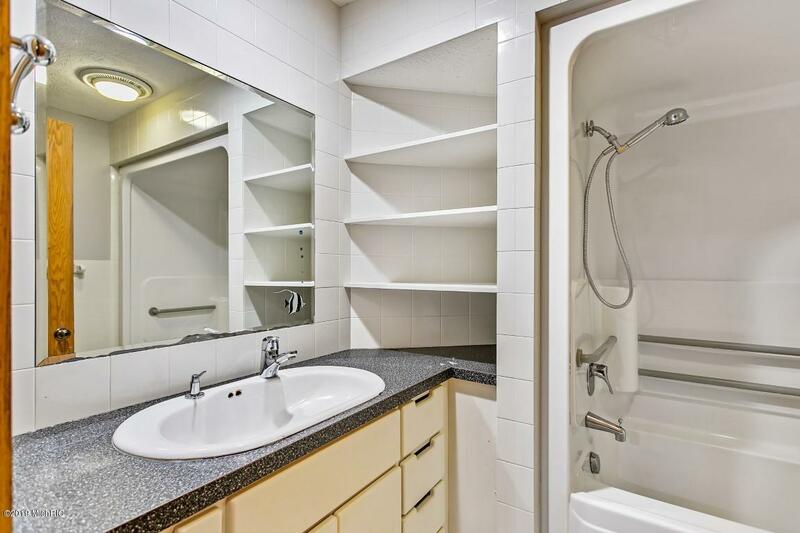 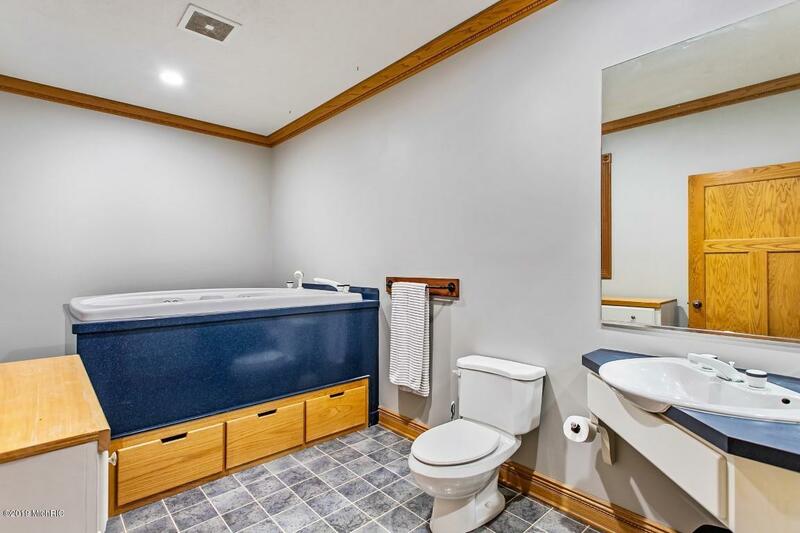 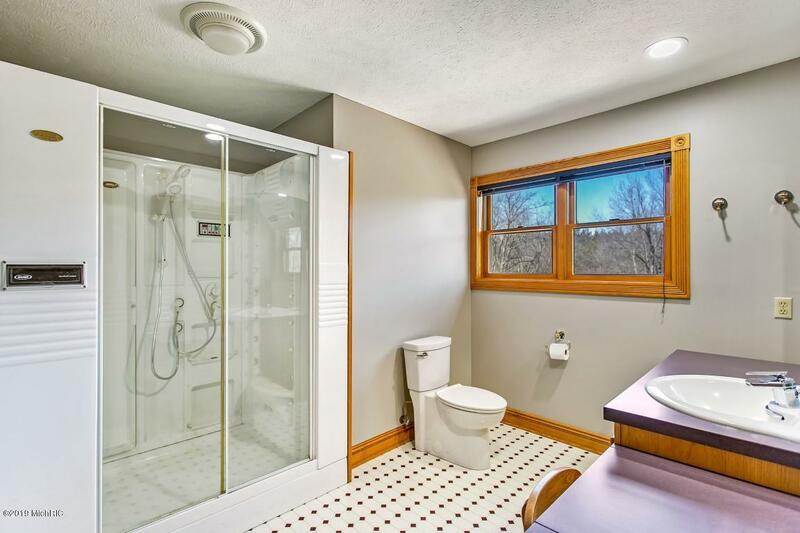 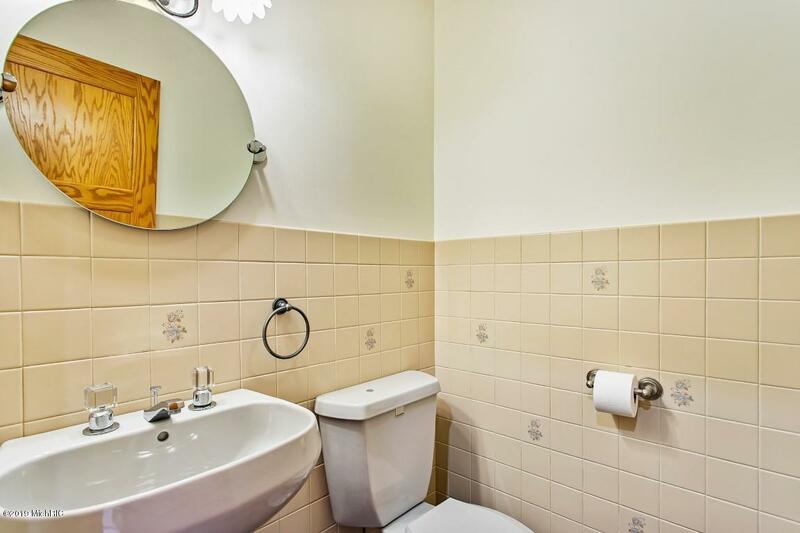 Easy access to Grand Rapids, Grand Haven & Holland.